Close to each weekend, I desperately resort to Google to find offbeat ideas for weekend getaways from Singapore. In the midst of my travel research, I came across these 5 weekend getaways in Malaysia and Indonesia that will pamper your senses and indulge you. 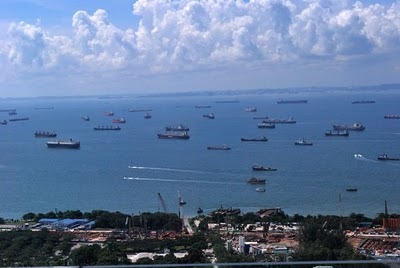 An hour’s ferry-ride away from Singapore, in the neighborhood of Batam Island (Indonesia), lies this exotic little gem. It’s a boutique resort, with under 10 suites, each designed, decorated and modeled after an Asian country. 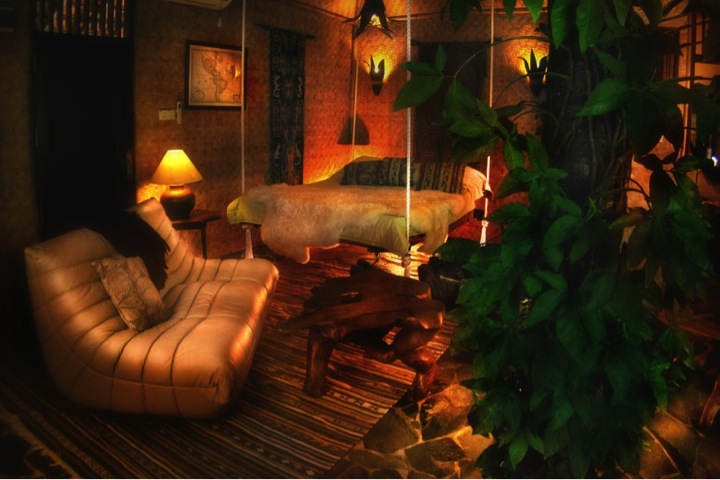 Besides the likes of Bali room, Indian room and Japanese room, there’s a Tree Room with a bed suspended in mid air. It’s also home to a traditional Balinese spa with a wide range of rejuvenating massages, and a pampering staff. Close your eyes and imagine you are sprawling on a beach chair on white sands, in the company of crystal blue waters, sipping a drink. 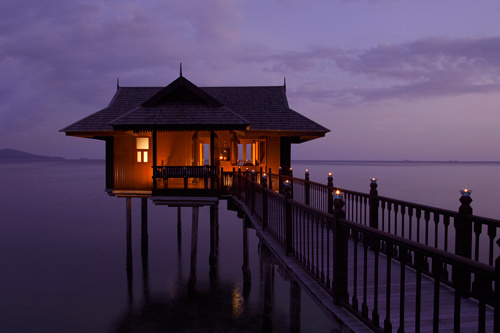 Just across the shores of Singapore, Nikoi Island affords you that luxury. 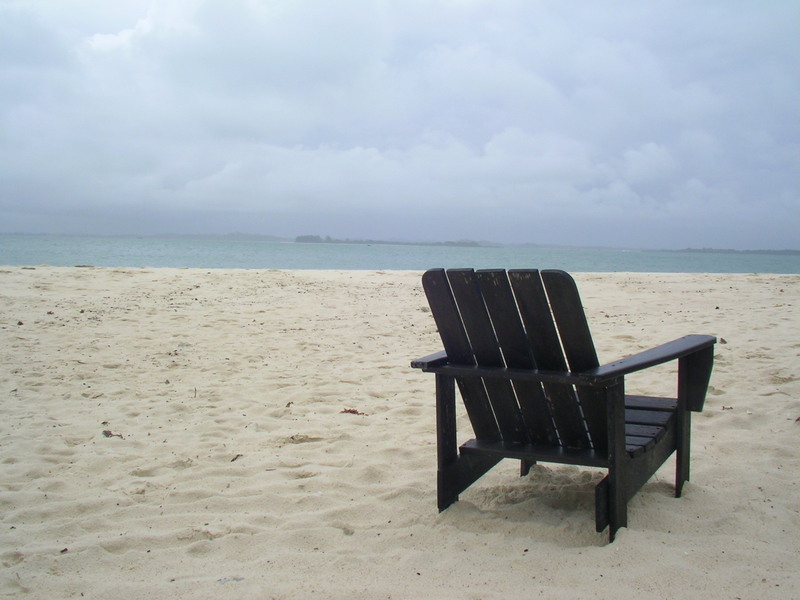 Many describe this private island & its ecotourism resort as magical. Of course, a picture speaks a thousand words. Most spas have an artificial waterfall in the background, to soothe your senses with the effect of trickling water. Imagine looking into a lake instead while being pampered, reflecting upon life in its vastness. 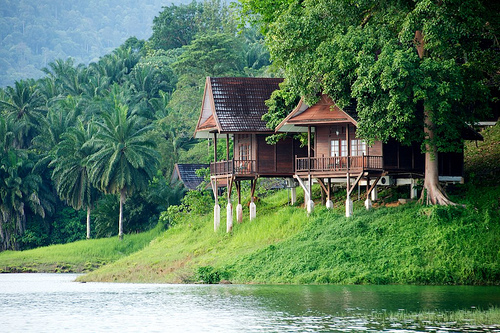 That’s the Lake Kenyir ecotourism resort & spa for you, in Terengganu, Malaysia. 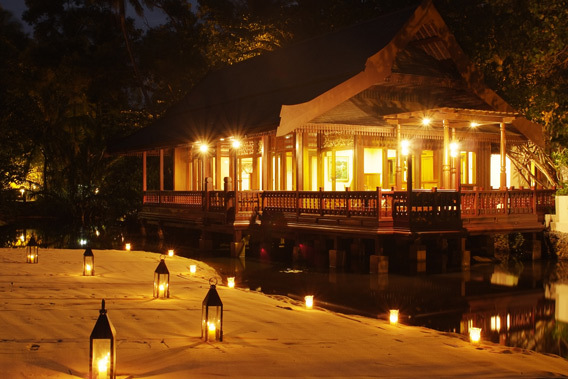 Tanjong Jara replicates the magnificent palaces and the pampering luxury of Malay kings in Terengganu, Malaysia. On the coast of turquoise seas, this traditional resort swept away Time‘s editors too. After all, you must live life king size, at least once! You have probably heard of Pangkor Island on Malaysia’s west coast, but Pangkor Laut, a private island resort, is a world in itself. Think crystal blue waters, white sands, chalets on stilts. Think indulgence. Which of these 5 getaways have you already pampered yourself at? Do you know of any other secret pampering getaways? 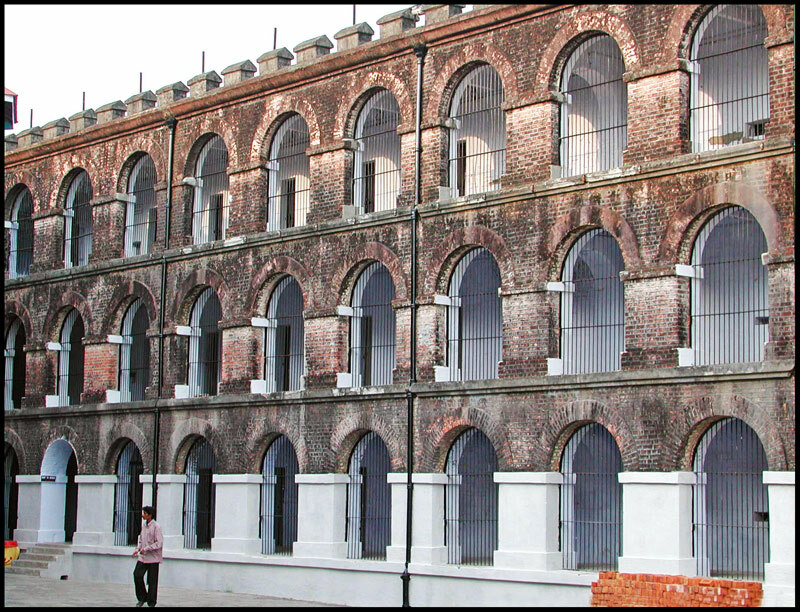 My heart was full of joy when my husband Tanmoy told me that our package tour had been finalised. We were 40 members and our vacation was planned from May 10 to 24. During the pre-trip preparation, for passport verification etc the authority had taken fingerprints of my three-year old daughter Pori on the relevant papers. My daughter was surprised with this and used a nail polish remover to remove the finger spot. Seeing her innocence we all had a good laugh. Our tour programme was divided into three days at Thailand, four days at Malaysia, four days at Singapore and one day at Port Blair on the way back to India. I want to share some colourful memories of the holiday from my diary. 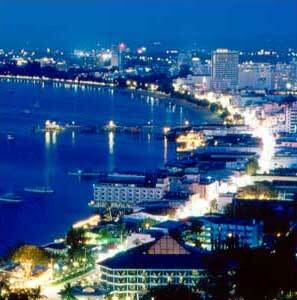 On May 10, from Delhi our journey began for Bangkok- Pattaya. From Bangkok airport a luxury coach took us to Pattaya. At Pattaya, Non Chung village, dolphin lagoon and elephant mela were the main attractions and children enjoyed thoroughly. Decorated elephants played football, drew, took banana from the kids and made a bow. The dolphin lagoon was also a funny circus for the kids. We also visited Corolla Island, a tourist spot. 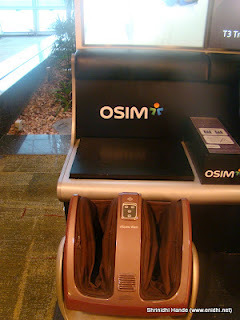 We enjoyed the famous Thai body massage, which is done in a scientific manner. In Malaysia, we visited the KL twin tower, which is 250 ft high. The KL city was like a dreamland. In the evening we went to the shopping mall and bought many gifts and mementos including a typical Malaysian umbrella. 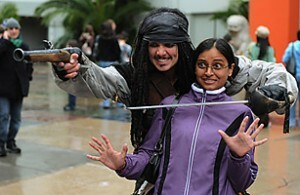 In Singapore, Universal Studio under the sea was a remarkable spot. 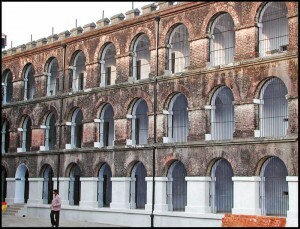 On our way back we arrived at Port Blair and saw the historic Cellular Jail. We enjoyed a lot everywhere because we had good hotel accommodations and everything was well planned by our tour operator. We came back with memories to cherish. We are very fond of holidaying like any other Indian family. 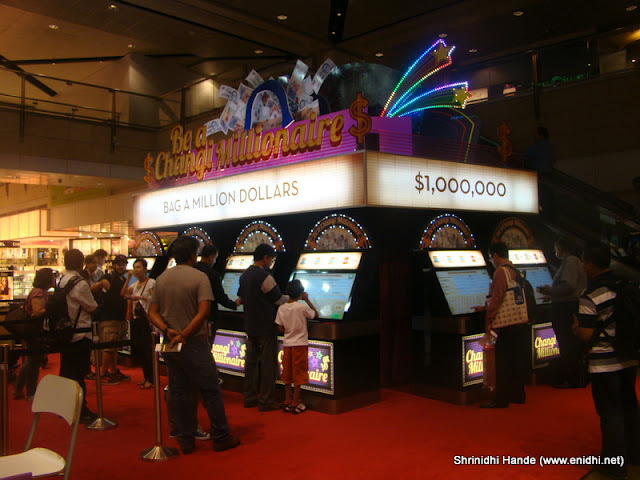 Last year in April, we planned a visit to Singapore, Malaysia and Thailand. It was our first overseas trip and we were very excited. As my son Nitesh was pursuing his MBA programme in Singapore, he gave me a lot of feedback on Singapore. 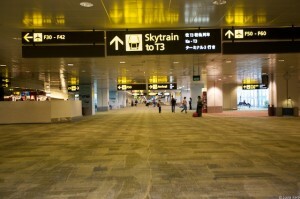 We were received by our son in Singapore at the airport. We had with us the complete itinerary with all air and hotel bookings. 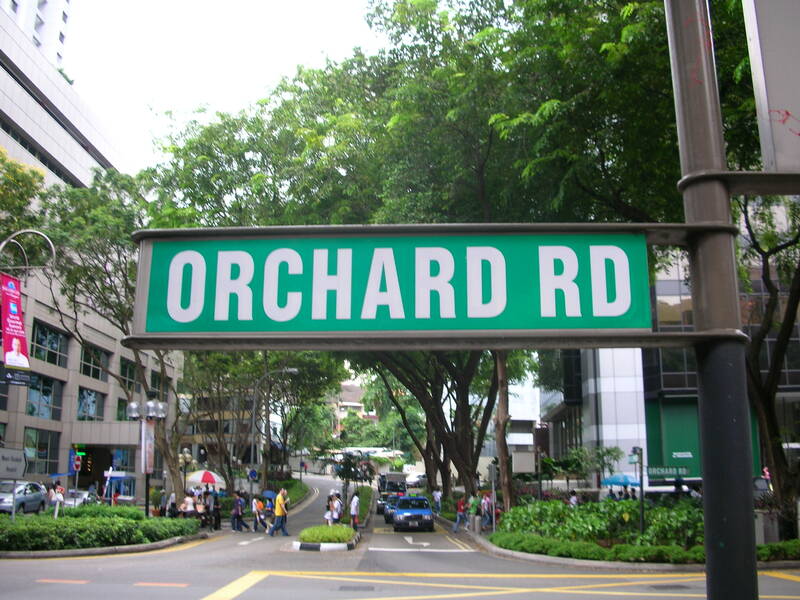 As the taxi headed towards our hotel on the Orchard Road, we were stunned to see the neat and clean roads. There was no littering anywhere. Traffic chaos was missing and I was told that one should blow the horn only in an emergency. Honking otherwise is considered a crime in the city. 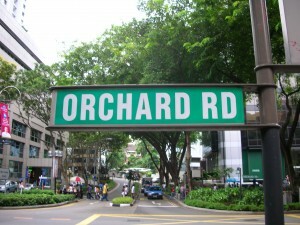 After taking rest, we visited Orchard Road and were taken in by its beauty. We also went to Sentosa Island and enjoyed a night safari in a well known park. We enjoyed Indian food at a place called mini India. Another high point of the trip was visit to the Mustafa Mall. 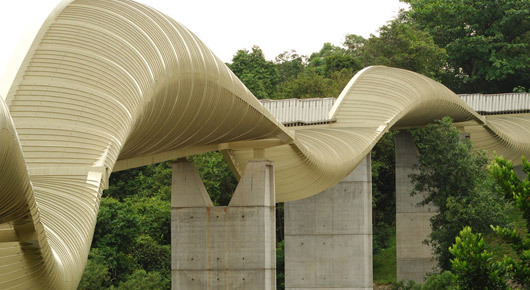 Singapore sets high standards of discipline. Kuala Lumpur was our next destination. 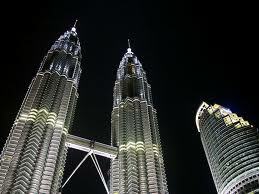 We had seen Petronas Towers in movies but watching it in reality was a dream come true. We also visited the Genting Highlands, it has Asia’s longest ropeway and traveling by the cable car was an amazing experience. 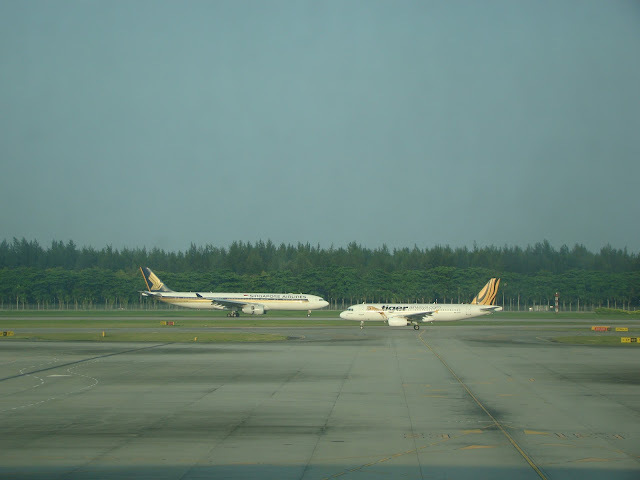 Thereafter, we headed for Bangkok. At Pattaya beach we enjoyed water sports. It was a thrilling 10-day holiday filled with fun and adventure. In India, May is the cruelest month. The short spring is already a distant memory, and the heat- and dust-quelling monsoon rains are still weeks away. There’s no better time for Indians to take to the road. All told, some 550 million Indians travel to other parts of the country each year. Once school lets out for the summer, many families set off on annual visits to grandparents in their native town or village. 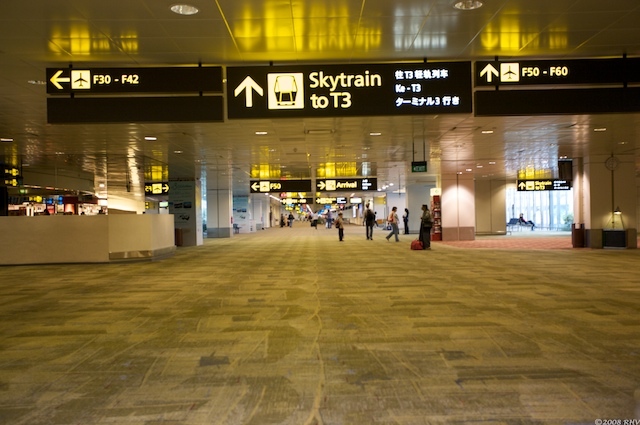 Another 12 million Indians choose to fly overseas. Wealthy families from Punjab and Gujarat, in the north and west of India, respectively, flock to cosmopolitan meccas like Switzerland or Dubai, where women can indulge in brand-name shopping and don the revealing, Western-style fashions they don’t dare flaunt back home. But while more than half a billion Indians take a holiday each year, the appeal of travel has traditionally been less about exploring someplace new than about simply getting out of town. Many Bengali families in the eastern corner of the country, for instance, escape north in the summer to the cooler Himalayas — an unfamiliar land and landscape. But they typically join large tour groups, interacting almost exclusively with other Bengalis and eating only Bengali-style meals. There is, however, a quickly growing segment of Indian travelers — mostly young, rich and hailing from India’s larger cities — who are decidedly more adventure-seeking. Unlike their parents, they visit uncommon places and pursue unconventional activities — a safari in Tanzania, a ruins tour of Turkey, an F1 race in Singapore — with an interest and curiosity about other cultures that previous generations may not have had. It is still a small proportion of Indian travelers who are so venturesome — but, by the numbers, even a small proportion qualifies as a mass movement, globally speaking. So it is no surprise that the travel industry has taken note. From New Zealand to Namibia, government tourist boards have designed campaigns specifically to woo Indian travelers, and luxury-tour purveyors like Cox & Kings and Kuoni, both based in Britain, advertise hard for Indian rupees. Kuoni, for instance, has joined hands with fabled Bollywood production house Yash Raj Films to offer the “Enchanted Journey” tour of movie locations, letting travelers ski the Alps or boat on Lake Zurich in the footsteps of their favorite stars. In February came another nod to the Indian traveler’s increasing clout: international travel-guide leader Lonely Planet launched an Indian version of its eponymous monthly travel magazine (other editions of the magazine are published in the U.K. and Brazil). And in October, the bible of luxury travel, Condé Nast Traveler, has plans to follow with an Indian edition, building on the established successes of the publisher’s Indian versions of Vogue and GQ. The target readers of the new magazines are Indians who are traveling more and traveling differently — many as singles or couples without children or parents in tow. “You’ll be surprised by how many married women there are traveling without husbands and single women traveling with girlfriends,” says Sumitra Senapaty, 49, a travel writer who has run Women on Wanderlust, a travel club for women, since 2005 and has watched her business grow many times over. “I quite struggled with it initially,” she says. “I didn’t have the pocket to advertise, so everybody’s mother, friend, aunt and sister spread the word. I just wanted women to come onboard.” Today, Senapaty’s tours — which usher female travelers to hard-to-reach places like Ladakh, a high mountain desert in the Himalayan foothills — are usually sold out. The travel lust of this budding demographic has largely survived the global recession, which has otherwise diminished international travel overall. In fact, a stronger rupee has seen more Indians traveling abroad, especially to long-haul destinations. The U.N.’s Madrid-based World Tourism Organization estimates that by 2020, some 50 million Indians will be taking foreign holidays each year. So while Lonely Planet and Condé Nast may be wading into a shaky market already cluttered with dozens of travel titles, they have high expectations for success. “[In terms of] advertising revenues, not only have we dominated market share in the categories we operate in but also we are growing at an exponential rate,” says Alex Kuruvilla, managing director of Condé Nast India. “So we are very bullish on the opportunity.” If the rupee continues to rise, this May might not end up being so cruel after all.